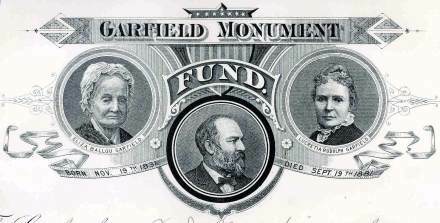 Beautifully engraved certificate from the Garfield Monument Fund. 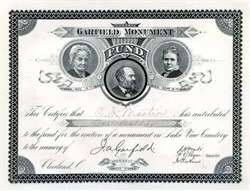 This historic document has an ornate border around it with a vignette of the Garfield family. This item has the printed signatures of the Monument Committee Members.